Buying a house or condominium can take a few days for some and many years for others. How long time you need we do not know but rest assured we will be by your side from the first showing to moving in. Register your interest in buying a property in Rayong. Tell us what you look for and we will keep you updated. There are several advantages. Each time a house or condominium meets your wishes, you will receive an email from us where the home is presented. You get information about desirable properties before they are publicly publicized. We match your wishes against all our homes including those on so-called silent sale. This service will cost you anything and you can cancel any time. When you, and we, have a clear picture of what you are you looking for we present homes that can fit those criteria. We send information when you are in your home country and when you are in Thailand, we book showings of what you want to see. We visit the houses or condominiums that match your requirements and wishes. Förr eller senare kommer den där känslan, här vill jag bo, det här känns rätt! Följ den känslan och slå till innan någon annan hinner före. Att köpet är säkert och korrekt borgar vi för. Sooner or later comes that feeling, here is where I want to live, this feels right! Follow that feeling and decide before anyone gets before you. We vouch for that the purchase is safe and legit. We establish all necessary documents for the real estate business, such as purchase contracts, sales contracts, power of attorneys, lease contracts, etc. If you feel uncertain you can confidently turn to us with your questions. We have a policy decision within ERA Oakfield Thailand not to apply bids. Our assessment is that it is unfavorable for you as a buyer and therefore it is always the first-come-in-one that applies. You usually pay a deposit of 100 - 300.00 baht to enable you to lock your new accommodation. Then you tie up with the seller and no other speculator can come in between. In connection with that, we will establish a purchase contract for your house or apartment. 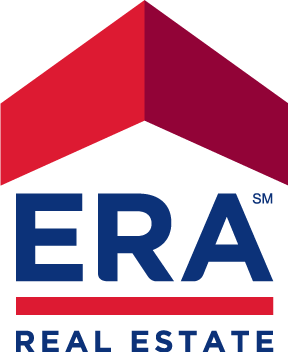 Your deposit will be deposited on ERA client account and handed over to the seller upon contract writing with the same. The deposit is non-refundable if you later decide not to complete your purchase and have not agreed on other terms. All other payments from you are deposited on the ERA's equivalent to Swedish client funds accounts for maximum security. No other real estate broker in Thailand work like this. For many of our foreign customers we also handle registration of ownership and lease hold rights without them being forced to waste time and money of being present in person. All this is done at governmental Land Office. In most cases it is in Land Office the final payment is paid and the last papers are signed. Your final payment will be submitted when our lawyers or responsible Thai brokers have verified and approved all documents. Note that the purchase process above refers to used properties and is a general description. For example, in new production, the process may differ.